Starting your own supplement line means having to make many decisions early on that will lock in a lot of the character and qualities of your business. One of those decisions will be the type of “delivery mechanism” you will use for your product. Different supplements are consumed in different ways; as a liquid that is drunk, as a powder that is mixed with other foods, or as a pill. However, one of the more recent delivery systems known as “softgel” definitely has a lot going for it. It may be young, but softgel is one of the more interesting—and market-friendly—choices if you’re thinking of starting your own supplement line. 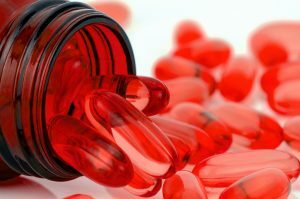 A pill—or tablet—is first and most common form of supplement consumption. It’s really just nutrients in powder form with a few additives for binding, that is then crushed into a solid mass. This was one of the earliest modern ways for people to consume medicines and supplements. This can be split in half or more if need be for smaller doses, is the cheapest method, but also takes longer to metabolize and take effect. Softgel, on the other hand, is capable of preserving the ingredients in liquid form, and then sealing them up in an airtight, soft, gelatin container. This more recent innovation means that not only does the softgel retain potency and last longer, but it also takes effect faster. Metabolizing requires breaking down the needed ingredients into liquid form. Since a softgel delivers the ingredients already in liquid form, this cuts down the amount of time needed before the desired effect takes place. They are also easier to swallow than tablets, and in some cases can even be much smaller, meaning more can be packed into a container. While the manufacturing cost of tablets is cheaper than that of softgel, there are many delivery, potency, and storage advantages to the softgel solution. Properly treated and rendered opaque, softgel can be more durable than pills, fending of ultraviolet degradation and oxidation that can render pills stale or lose their potency. So if you’re thinking of starting your own supplement, consider using a softgel system as your mechanism of delivery for your supplements. Look into the advantages, the costs, and then talk to an experienced vendor that can manufacture softgel supplements for you to see how you can start integrating this newest option into a safe, GMP compliant product.